New Patients are on mobile and they're ready for treatment! 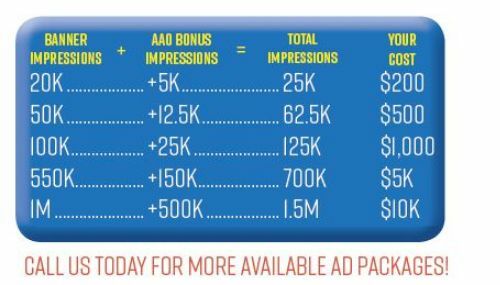 AAO Meeting Special: Sign up by May 31st and receive 25% FREE bonus impressions on your banner ads package. One-time packages starting at Only $200! 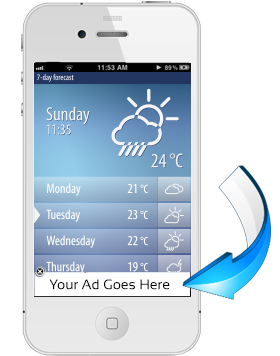 Get THOUSANDS of locally targeted mobile banner ad impressions every month! Access to 100 billion impressions a month. We provide potential new patients, YOUR message, at the right place and right time. Find out how reaching potential patients & parents on their mobile devices can help grow your ortho practice. No subscription required. Impressions will be served over the course of 30 days. With SelectBraces you get THOUSANDS of locally targeted Small Business mobile banner ad impressions every month! After sign-up, receive a call from Mobile Expert to finalize details of your mobile ad campaign. Start receiving calls and appointments! Plus, you can review your campaign's performance with your monthly analytics report.